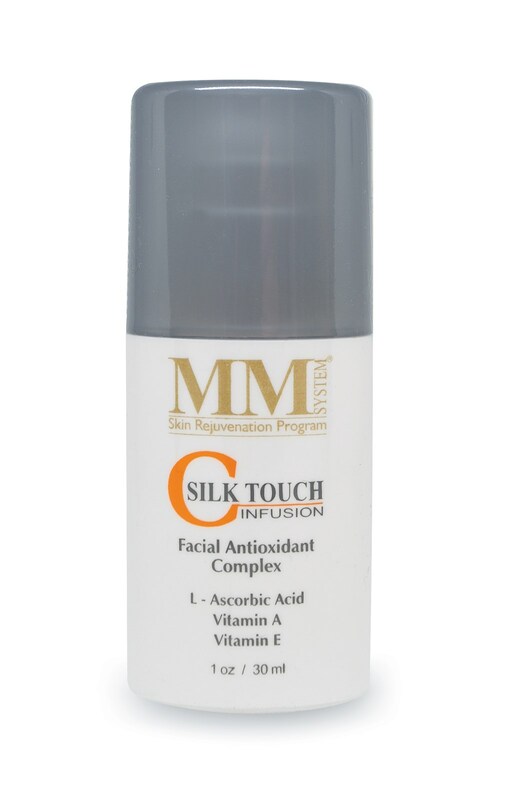 Mene & Moy C Silk Touch Infusion Antioxidant is a gentle triple antioxidant protection which is suitable for all skin types, especially sensitive skin. 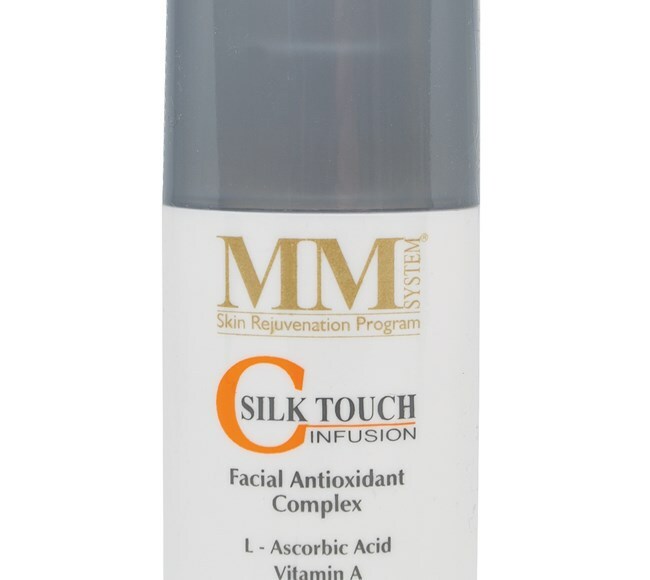 The most efficacious blend of vitamins ever developed with vitamin C, renowned for its ability to increase collagen synthesis, vitamin E to moisturise from within and vitamin A to aid in the reduction of fine lines. An alternative to Facial Lotion C20. Cyclomethicone (and) Dimethicone Crosspolymer, Cyclopentasiloxane, Ascorbic Acid, Dimethicone, Tocopheryl Acetate, Retinyl Palmitate, Phenoxyethanol, Citrus Aurantium Dulcis (Orange) Peel Wax, Citrus Aurantium Amara (Bitter Orange) Oil, Geranium Maculatum Oil, Lavandula Angustifolia (Lavender) Oil. After cleansing and drying the skin thoroughly, apply sparingly to face and neck. Recommended as a night time treatment.